and still move into the Cloud? Can you keep your infrastructure and still move into the Cloud? Your organization has made the move to the Cloud with Microsoft Dynamics 365, Office 365, or another business application. 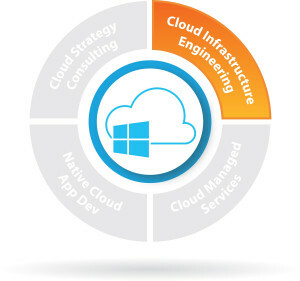 With that, you’re in the home stretch of migrating to the cloud. However, for a variety of reasons—budget constraints, timing, or lack of availability—you might still be depending on other systems that remain on premise. This could be causing performance issues with some of your solutions. 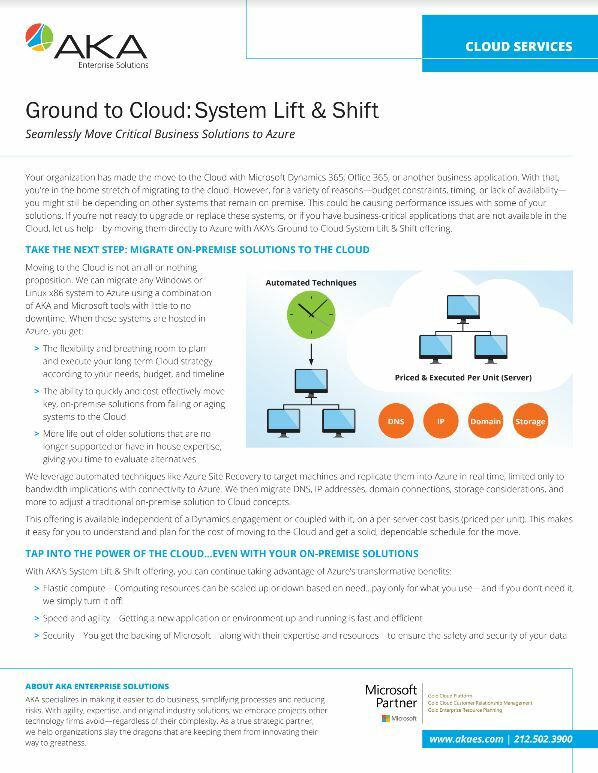 If you’re not ready to upgrade or replace these systems, or if you have business-critical applications that are not available in the Cloud, let us help—by moving them directly to Azure with AKA’s Ground to Cloud System Lift & Shift offering. We leverage automated techniques like Azure Site Recovery to target machines and replicate them into Azure in real time, limited only to bandwidth implications with connectivity to Azure. We then migrate DNS, IP addresses, domain connections, storage considerations, and more to adjust a traditional on-premise solution to Cloud concepts. This offering is available independent of a Dynamics engagement or coupled with it, on a per-server cost basis (priced per unit). This makes it easy for you to understand and plan for the cost of moving to the Cloud and get a solid, dependable schedule for the move. Elastic compute – Computing resources can be scaled up or down based on need…pay only for what you use—and if you don’t need it, we simply turn it off!